The HH-2/SH-2 (F) Seasprite was a medium utility naval helicopter produced by the Kaman Aerospace Corporation. Early Seasprite units from the 1960s were only equipped with a single engine, which made them rather a risky proposition for overwater operations. It was then decided to modify a number of units to accommodate a second engine and so the SH-2 was born. This helicopter is a ship-based multirole aircraft that is primarily used for anti-submarine warfare. It makes use of two General Electric T58-GE-8F engines, each producing 1350 shaft horsepower. The SH-2F variant is equipped with a full LAMPS I system. This is a system specifically meant to improve ship defense against submarine threats and lets the helicopter extend the radar range of its base ship. In addition, the SH-2F had upgraded engines, a more durable rotor and could handle a higher takeoff weight compared to its predecessors. From 1987 the SH-2Fs were upgraded with advanced chin-mounted FLIR, countermeasures such as chaff and missile and mine detection technology. 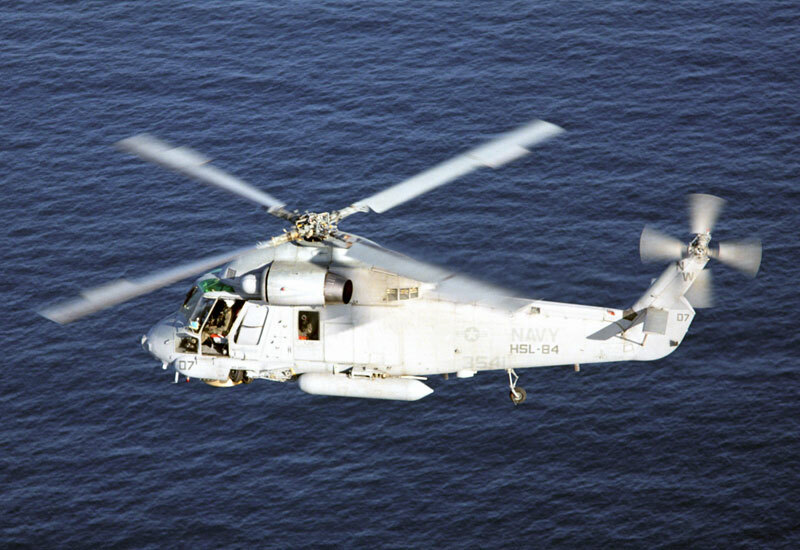 The SH-2F was retired in 1993, likely in response to the SH-60 SeaHawk. The first SH-2F was delivered to the Navy in 1973. In 1981 they ordered 60 additional unit. All but two of the H-2 models were eventually remade into SH-2Fs. Do you want to comment the Kaman HH-2 / SH-2 (F) Seasprite helicopter?